A match was held today at Lords Cricket Ground. The meeting of the finest tailors of Savile Row and the artisans of Mayfair and St James's celebrated 'The English Gentleman'. And what could be more fitting than a presentation in a setting that screamed British style and sensibility. The pavilion benches overlooking the glorious grounds were not filled with spectators but were indeed the focal point for the exceptional craftsmanship on showcase today. 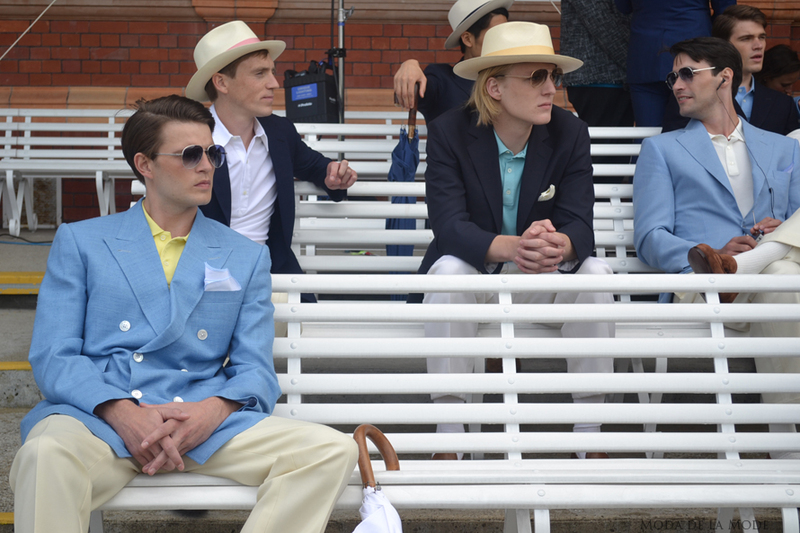 Dapper gentleman in a variety of cloths fit for the British summers day, sat in the stands creating a colourful display. Superb hues of blue in flannel, wool, basket weave and hopsack made sure the models were looking the part of the summertime gent. They were joined by a solid display of slim fitted wool whites interspersed with bespoke cricket blazers and sweaters. 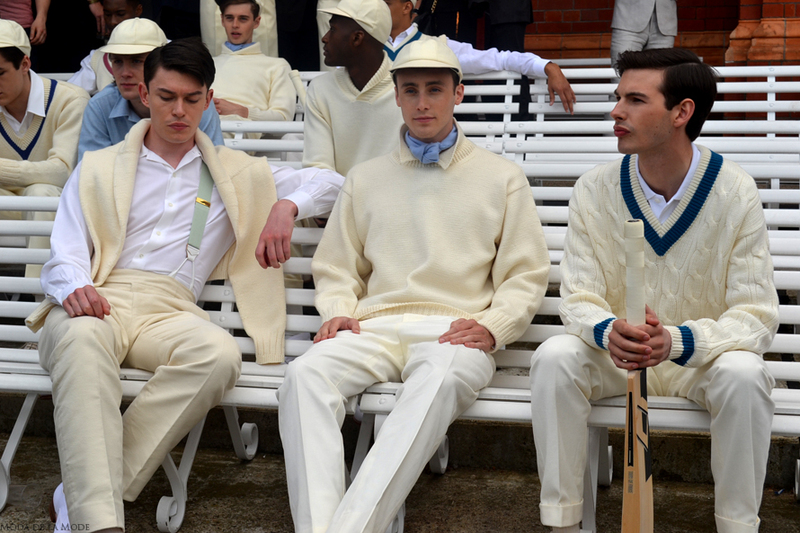 Kent&Curwen successfully reinvented the preppy look with their dashing sportswear ensembles.The innings were nicely rounded off with an array of pastel tailoring in lightweight linens and cool cottons. 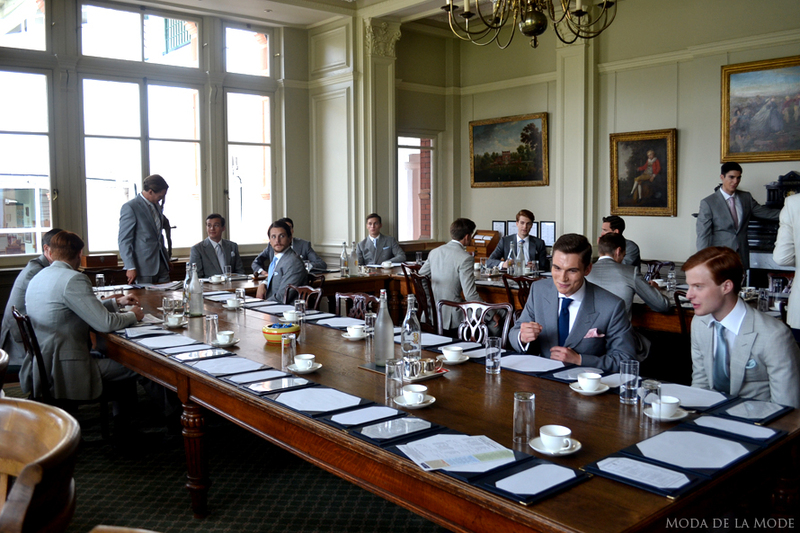 The Committee Room, as its name suggests was congregated with the formal standards of tailoring. Clean, crisp silhouettes of classic grey suits, Prince of Wales check and pale blue wool illustrated that the classics are all about quality materials and attention to detail. The Long Room, said to be the most famous room in cricket was set with models perched on unique high stools, overlooking the ground for better viewing of the gentleman's sport. Dark khaki, tan and shades of cream in wool, hounds tooth and herringbone complimented the historic hallowed hall adorned with eighteenth and nineteenth century paintings. British tailoring is still the standard to meet and 'The English Gentleman' certainly showed why.The focus on the finer details: the cut, the weight of the cloth and the fit are as imperative as ever. 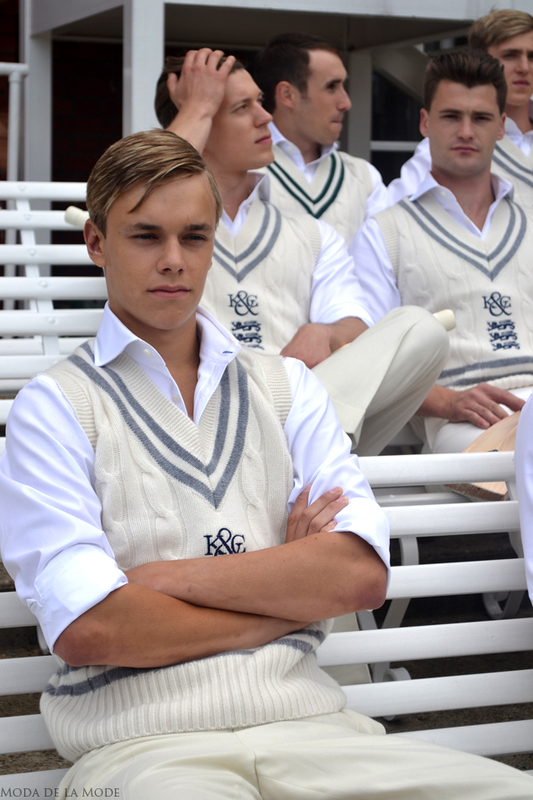 With the mix of craftsmanship and cricket, the quintessentially british style will always remain an innings ahead.